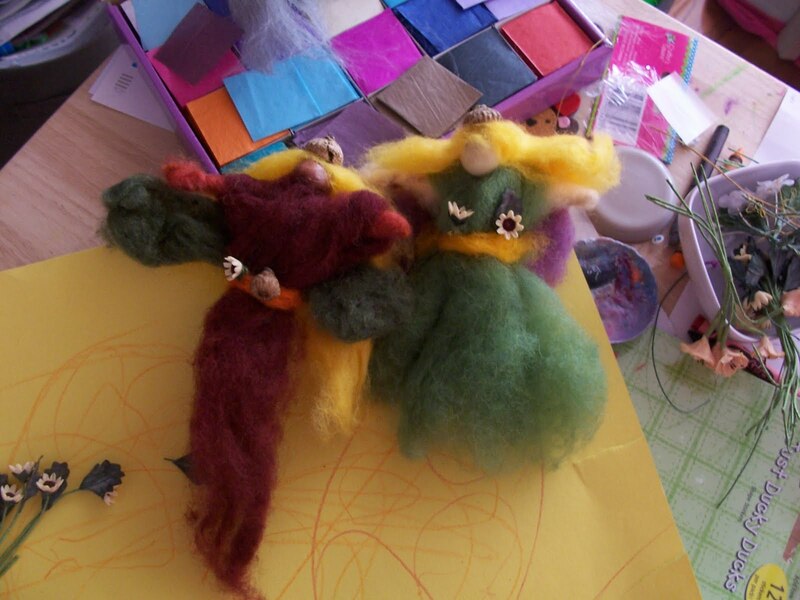 Today we worked on several crafts before heading out on our errands. We started by making two more wool roving fairies with an autumn theme this time. 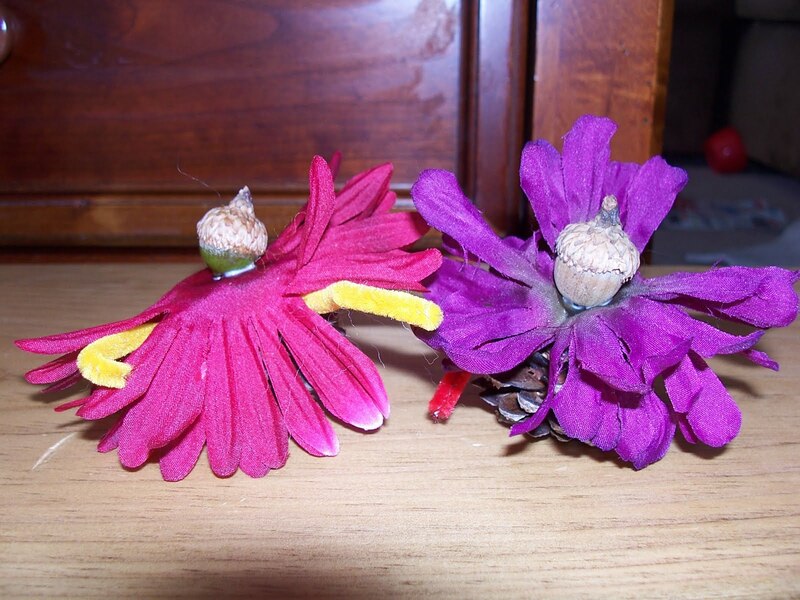 I'm going to put them on Hazel's nature table for now, but I know they will end up in her fairy garden once we decorate it for autumn. Next we gathered our acorns and pine cones from our nature walks and back yard. 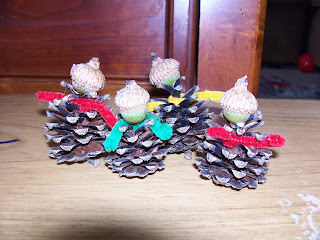 Having seen this Blissfully Domestic blog when I was searching for acorn crafts. We created similar acorn fairies using an acorn and a pine cone for the body. The second acorn may have been a better option, but all of our acorns were small so we went this method. Then we ran out of silk flowers so we made pine cone acorn people. We will probably add more details to them, but we stopped to let the glue dry. Again I see these going on Hazel's nature table for the fall. I hope all of you have a wonderful long weekend! I keep praying my dear husband will not have to work nights after tonight, but he doesn't know. He is guessing he will have to go in tomorrow night. This week of the graveyard shift has really done a number on all of us. Even the cats are missing him. Hopefully he (and all of us) will get back to our regular schedules and rest this weekend. Take care and be safe!